It was a turbulent week for flag carrier Malaysia Airlines as news broke early in the week that Prime Minister Tun Dr Mahathir Mohamad is said to be studying options for the company, including whether to invest more funds, to sell it off or even shut the company down. Malaysia Airlines was privatized under national sovereign fund Khazanah Nasional, which took the company private in 2014 and had injected RM6bil into the business to help the airline recover following losses from various factors, including the weakening ringgit and higher jet fuel prices. However, the national carrier posted a loss last year (although marginally lower) due to multiple factors, including crew shortages in the second half of 2018. With little improvement in the company’s financials, Tun Dr Mahathir Mohamad was presented with options on what to do with the national carrier, including whether to invest more funds, to sell it off or even shut the company down (Bloomberg, 12 Mar). Following this, Finance Minister Lim Guan Eng made an attempt to clear the air, that the government has not decided on its options, though the government will have to decide on “the fate of Malaysia Airlines soon” (The Edge Markets, 14 Mar). In an article on The Edge Markets (13 Mar), according to Hong Leong IB Research (HLIB Research), low cost carrier AirAsia Group (AirAsia) stands to benefit from greater market dominance if the government decides to do away with Malaysia Airlines, stating that it remains doubtful of Khazanah Nasional’s willingness and ability to sustain the airline’s continued losses. HLIB Research said that the options tabled by the government will result in the capacity cut for Malaysia Airlines; the loss of Malaysia Airlines as AirAsia’s (and AirAsia X’s) main competitor will certainly improve their market position in Malaysia. Malaysia Airlines currently has a market share of 20.6% for international traffic and 32.3% for domestic traffic in KLIA/KLIA2, with an estimated 35% of total traffic in other airports. 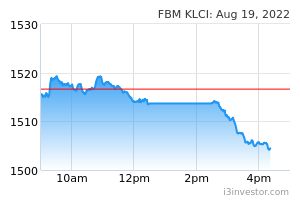 With this, and also in view of AirAsia’s recent drop in share price, HLIB Research upgraded its recommendation on AirAsia from “hold” to “buy”, with an unchanged target price of RM3.20.